GALICIA TURISMO TURISMO DE GALICIA | Events | Do you know the 17º Ribeira Sacra festival? 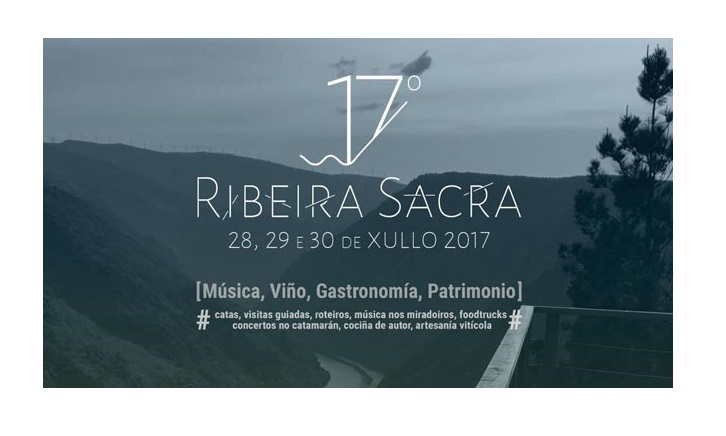 Between July 28 and 30, in the towns of Sober and Monforte de Lemos, will be held for the first time the 17º Ribeira Sacra, a festival that will feature music of different styles in a wide line-up formed, above all, by Galician representatives, such as Iván Ferreiro or Novedades Carminha, but also other important foreign artists such as Madrid’s Angel Stanich, Matthew Stephen Ward of the United States and the British The Magic Numbers. The concerts will also be offered in places representative of the heritage of the area, such as the Church of San Julián de Lobios, the Rectory of Gundivós or the Mirador de Santiorxo. There will be even two concerts on the Sil River aboard a catamaran located at the Doade pier. Can you imagine? In addition to its musical offer, this festival also proposes various gastronomic and wine activities. Thus, in the winery Regina Viarum and in the Parador de Monforte, numerous food stalls will be installed and during the three days of the festival, wine tastings and guided tours to different wineries will be organized. Since June, tickets for these three days are on sale, as well as tickets for a single day and other specific events for very limited events. It should be noted that for the holders of the full credit, the organization offers a bus service to attend the different concerts (previous registration and for a price of ten euros per person). A curiosity: the name of the festival is because 17º is the angle of slope from which wine activity is considered of risk. It is, as they say, “the temperature of the guts of the earth”. If you still do not know the area, this is a perfect festival for you, since the natural landscapes in which it will develop will fall in love with you. Even if you are one of those who already knows the Ribeira Sacra, you will end up falling in love with this unique land to which, the last weekend of July, will accompany an extraordinary soundtrack.